The decision was called a "death sentence" by a labor activist, and "tragic" and "wrongheaded" by Rep. Ileana Ros-Lehtinen, a Florida Republcian. 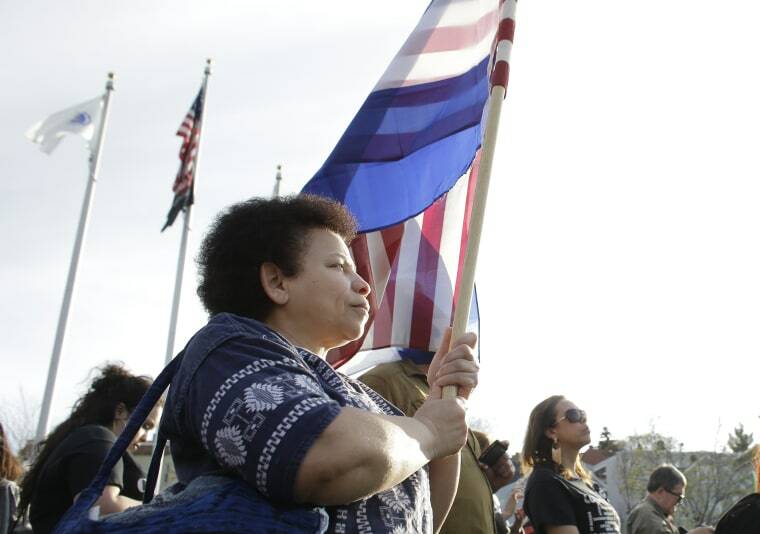 The Trump administration is shutting off protections for people who have lived in the United States for nearly two decades and has started the clock on their forced return to violence-plagued, politically volatile and poverty-stricken Honduras. The Department of Homeland Security announced it was ending the protection for Hondurans but has delayed the shutdown date until Jan. 5, 2020, about 18 months, sending the actual termination of the protections into the next presidential election year. Hondurans are the latest group living in the U.S. under Temporary Protected Status, or TPS, to be told their time here is up or nearly so. They were first allowed to remain in the U.S. legally and work here in 1998 when Hurricane Mitch wreaked havoc on the country. The hurricane killed 7,000 in Honduras and 11,000 in Central America. It caused billions in damages and deepened poverty in the region. DHS Secretary Kirstejen Nielsen said in a statement that the "disruption of living conditions in Honduras from Hurricane Mitch that served as a basis for its TPS designation has decreased to a degree that it should no longer be regarded as substantial." Since 1999, conditions in the country have notably improved. But for those who have been put on notice, the conditions in Honduras are anything but improved, critics said. "The cancellation of TPS for Honduran immigrants is a death sentence for many of those who would be sent back to a country being roiled by political repression and violence," said Jess Morales Rocketto, political director of the National Domestic Workers Alliance. Hondurans with TPS who want to remain in the country through the 2020 deadline must re-register and apply for work authorization, which costs $495, including a fee for digital fingerprints. Rep. Ileana Ros-Lehtinen, R-Fla., blasted the decision, calling it "wrongheaded" and saying it will affect thousands of Hondurans "in a tragic way." She advocated for passage of legislation that would allow migrants who received Temporary Protected Status before Jan. 13, 2011, to apply for legal permanent resident status. Although meant to be temporary, 18 months, previous administrations have continually extended the protection each year for various groups of people, so that many beneficiaries have since established roots and raised families in the U.S. The decision continues the administration's campaign to clamp down on immigrants here and those coming here, legally and illegally. The Department of Homeland Security has also ended protections for some 200,000 people from El Salvador who must leave by next September; 60,000 from Haiti who must leave by July 2019; 9,000 from Nepal who have a year to leave; and 5,300 from Nicaragua whose time runs out next January. People continue to flee Central America, showing up on the U.S. border requesting asylum. President Donald Trump has focused national attention on such migrants who have traveled up from the region in groups of several hundred for their safety, through Mexico, to ask for refuge. Organizers of one of the caravans that recently arrived at the border included more Hondurans than in the past, according to organizers. DHS said it will work with Honduras over the next 18 months to prepare it for the "return and reintegration" of its citizens and will conduct town halls, teleconferences and roundtables to inform Hondurans here of their rights and obligations.